Saving money on a new Cadillac in Appomattox, VA is simple. The first step is to research the Car model of interest and identify any other vehicle of interest. You’ll receive Car price quotes from Appomattox, VA Car dealers. 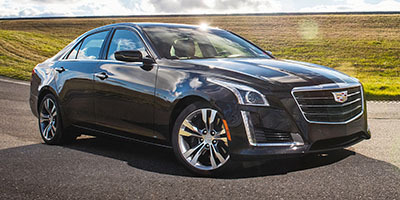 Simply compare prices to find the best Car prices in Appomattox, VA.
Cadillac knew that a lightweight chassis was essential if it wanted to create the kind of car that would handle and drive like a world-class sports sedan. A lightweight structure not only benefits handling, but improves acceleration and fuel economy as well. The ATS weighs in at around 3,400 pounds, which is extremely light among luxury cars. This helps it achieve an EPA estimated 33 mpg on the highway when properly equipped. Engine choices available on the ATS sedan take advantage of its light weight to provide strong fuel economy and acceleration. Three engines are available: a 2.0L 4-cylinder turbo making 272 horsepower, a 3.6L V6 producing 335 horsepower, and in the ATS-V, a twin turbocharged 3.6L V6 making 464 horsepower and 445 pound-feet of torque. 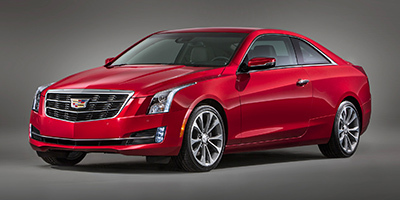 The engine is strong enough to propel the ATS-V coupe to 60 mph in just 3.8 seconds, with a top speed of 189 mph. The standard ATS comes with a 6-speed automatic, though a 6-speed manual is available with either turbo engine. The automatic transmission option for the ATS-V is an 8-speed. All-wheel drive is optional on the standard ATS, and it is only available with the 2.0L turbo engine or the V6. In sedan or coupe form, the ATS comes in four different trims: ATS, Luxury, Premium Luxury and Premium Performance. In each trim, sedans and coupes are comparably equipped. Both coupes and sedans come equipped with the 4-cylinder turbo, though the base stereo in the sedan is a 10-speaker Bose surround sound unit, while the coupe features a 12-speaker Bose unit. Both sedans and coupes now come standard with Cadillac's CUE infotainment system, which brings with it an 8-inch color touch screen, Sirius XM satellite radio, Bluetooth hands-free connectivity, and voice recognition. Functioning much like an iPad, CUE vastly simplifies the interior of the car, allowing for increased functionality without much of the clutter. It also houses the optional navigation system and includes a suite of apps to support Pandora, iHeart Radio, the Weather Channel and more. Other notable standard equipment includes a leather wrapped steering wheel with audio controls, a 6-way power adjustable driver's seat, dual-zone climate control and attractive 17-inch wheels (18-inch on the coupe). On the sedan, the Luxury trim adds leather seating surfaces, 10-way power adjustable front seats, power mirrors, heated front seats and steering wheel, and front and rear ultrasonic parking assist. Luxury coupes also get adaptive HID headlights and performance seats. Compare Appomattox, VA Cadillac prices. 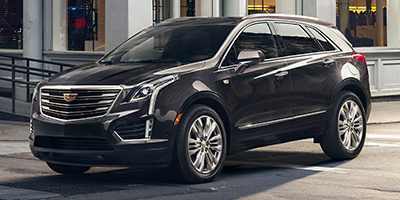 Get free price quotes for any Cadillac in Appomattox, VA. See the invoice price, MSRP price, and clearance prices for all vehicles. 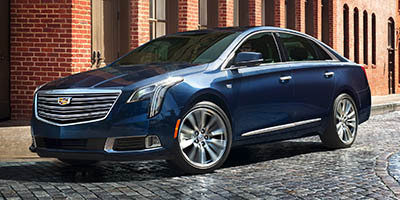 Save big when Appomattox, VA Cadillac dealerships compete on price. Compare Cadillac prices, pictures, reviews, local rebates and incentives, and more. View all used vehicles for sale in Appomattox, VA. Compare used Cadillac vehicles and get the best deal in Appomattox, VA. See prices, pictures, vehicle specs and everything you need to get the best deal on a used Cadillac. Bad credit auto loans and good credit auto loans for a new or used Cadillac in Appomattox, VA. Compare current auto financing rates and get approved before you go to the dealership. We can get financing for nearly all new or used Cadillac buyers in Appomattox, VA. Get a free auto loan quote today. Compare auto insurance rates from top lenders. Get the lowest monthly payment on a new or used Cadillac in Appomattox, VA. With free Cadillac insurance quotes, you can save money regardless of driving history.